Heights of Vallauris, beautiful plot of 1400 m², enjoying an exceptional sea view on the Cap d'Antibes and absolute calm. 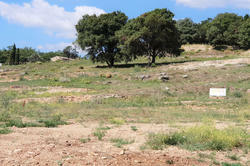 It consists of a flat part and another part in terraces facing south-east. 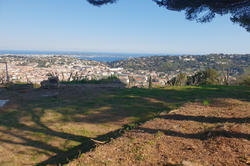 With easy access, it is located just minutes from Cannes (5 km) and 20 minutes from Nice Côte d'Azur Airport. Sold fully serviced, connected to water, electricity, telephone and mains drainage. For this property: Property Brochure PDF Add to saved properties Finance this purchase" Surface converter"